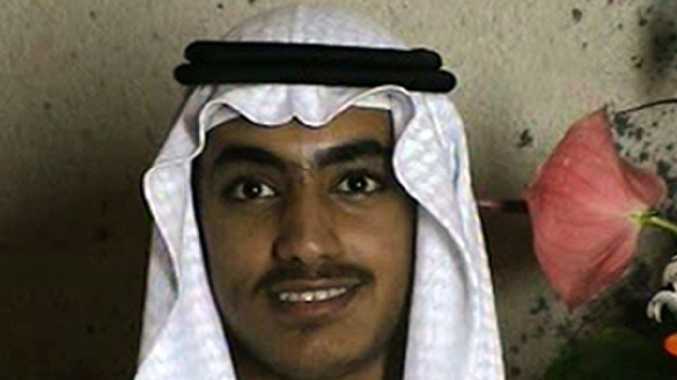 Osama bin Laden's son and potential successor Hamza bin Laden. He's Osama bin Laden's son, the husband of 9/11 hijacker Mohamed Atta's daughter - and now Public Enemy No. 1 to the State Department, which just put a $1 million bounty on him. 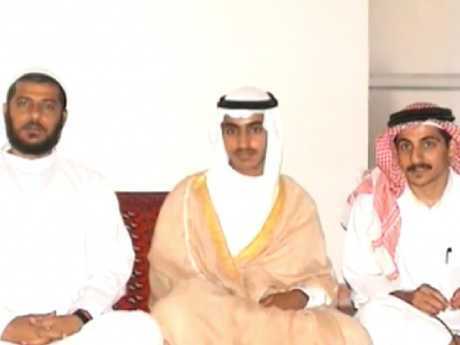 Hamza bin Laden is emerging as a powerful key leader of al Qaeda, bringing his father's cutthroat cachet and a youthful energy to the terror network his dad once led - and prompting US authorities to try to cut him off at the pass. The State Department this week announced the reward for help in hunting Hamza down, calling him "a specially designated global terrorist" and dangling the cash under its Rewards for Justice program the New York Post reports. 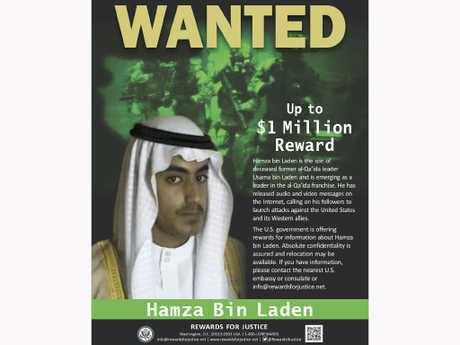 The wanted poster released by the U.S. Department of State Rewards for Justice program. Experts say the 30-something militant, once dubbed the "Crown Prince of Terror," has been groomed for the deadly role his whole life. "He's basically born right after al Qaeda is founded, so his life is totally consumed in the establishment, the formation of al Qaeda and the launching of its war against the West and America," Thomas Joscelyn, of the Washington, DC-based Foundation for Defence of Democracies, told The Associated Press. 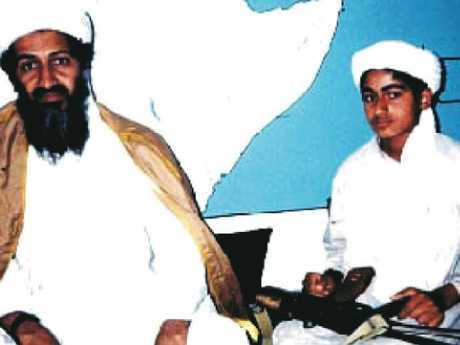 Hamza, one of his father's estimated 26 children, sought Dad's approval from a young age and wanted bin Laden to make him the network's heir. Still image from video obtained by the CIA of Hamza Bin Laden's wedding. Described as bin Laden's favourite son, Hamza grew up in the family's strict religious compound in Jalalabad in eastern Afghanistan, which was home to more than 60 people, including the relatives of other terrorists who worked with bin Laden. Speaking exclusively to The Post in 2017, Hamza's childhood friend, Abdurahman Khadr, said the children were forced to memorise the Koran at the compound's mosque while their fathers planned terrorist strikes, presumably including those of Sept. 11, 2001. Hamza was a bit of a rebel, his old pal said. He loved drinking Coke and spicing up his food with Tabasco sauce - two forbidden Western items. Hamza was "always trying to sneak stuff in that we weren't allowed to have," Khadr said. Hamza would have been around 12 years old at the time of the 9/11 attacks. It's unclear whether he was with his father when the hijacked planes struck the Twin Towers, the Pentagon and a field in Shanksville, Pennsylvania. But two months later, Al Jazeera obtained footage of Hamza, wearing a turban and traditional Afghan dress, and three of his brothers handling weapons and picking through the debris of a downed US helicopter - all part of an al Qaeda media campaign. The footage showed Hamza proudly reciting a poem in Arabic, praising then-Taliban leader Mullah Mohammad Omar. Still, the elder bin Laden reportedly feared for his son's safety and wanted to send him away to study after the attacks. But Hamza begged his dad to let him join the fight and eventually went to Pakistan for terrorist training. Hamza ended up being reunited with his father in Pakistan after the US-led invasion of Afghanistan, sparked by 9/11. In 2008, an extremist Islamic website published a poem said to be written by the son. "Accelerate the destruction of America, Britain, France and Denmark," it read, earning him the "Crown Prince of Terror" moniker. The son is believed to have been living with his father and mother, Khairiah Saber, one of bin Laden's several wives, at a secret compound in Abbottabad, Pakistan, in 2011, when Navy SEALs carried out the nighttime raid that killed the terror chief. Also killed in the raid was Osama's eldest son, Khaled. Saber, a Saudi-born child psychologist who was reportedly bin Laden's favourite wife, survived. According to the State Department, letters seized in the raid indicated the terrorist mastermind was grooming his son to replace him as the leader of the extremist group. In his first audio message released on the al Qaeda website in 2015, Hamza called for the network's followers to wage "holy war" on Washington, London, Paris and Tel Aviv. "If you think that your sinful crime that you committed in Abbottabad has passed without punishment, then you thought wrong," he said. In a propaganda video released May 2017, he called for "lone-wolf" attacks, echoing methods used by ISIS. Hamza has vowed to avenge his father's death, and authorities are particularly concerned that, at a time when al Qaeda's influence might seem to be waning, he could provide it with a younger convincing voice. The terrorist organisation's ageing leaders - including its current chief, Ayman al-Zawahiri, 67 - have struggled to inspire militants around the world, but Hamza has his father's legacy behind him, analysts note. Now that ISIS is withering in Syria, US authorities believe this could be the perfect time for an al Qaeda resurgence. And Hamza is likely the next person at the helm, experts say. A UN Security Council committee called him "the most probable successor" to the network. But the question remains: Where is Hamza? Saudi Arabia announced on Friday that it had revoked his citizenship in November. His father was born in the Saudi capital, Riyadh. Osama bin Laden's wives and surviving children still live there, where they have been granted refuge. But the whereabouts of Hamza, his wife and their three children remain unclear. He was reportedly married in 2009 in Iran to Atta's daughter. Some reports suggest they still live in Iran, guarded by Iranian intelligence and military officials, while some officials think he may be heading to south central Asia. Either way, it's like looking for a needle in a haystack. 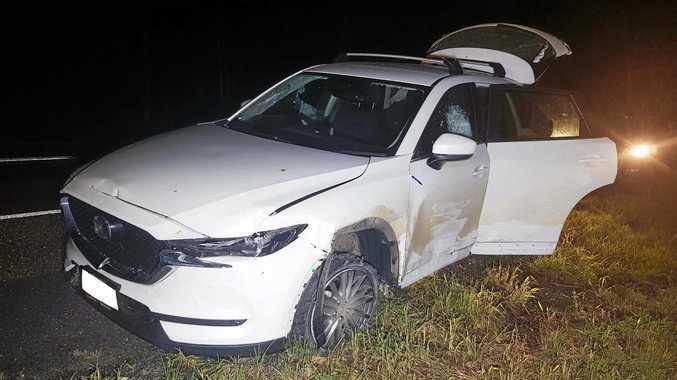 "He could be anywhere,'' a State Department official acknowledged. US officials had spent a decade hunting his father after 9/11. Last year, family members urged Hamza not to follow in his father's footsteps. In an interview with The Guardian in August, Osama bin Laden's mother, Alia Ghanem, said, "I don't want to go through this again. "If Hamza was in front of me now, I would tell him, 'God guide you. Think twice about what you are doing. Don't retake the steps of your father. You are entering really negative and horrible parts of your soul.' "